Blood on the Wallpaper (and your WOD) | Robert Mitchell Jr. 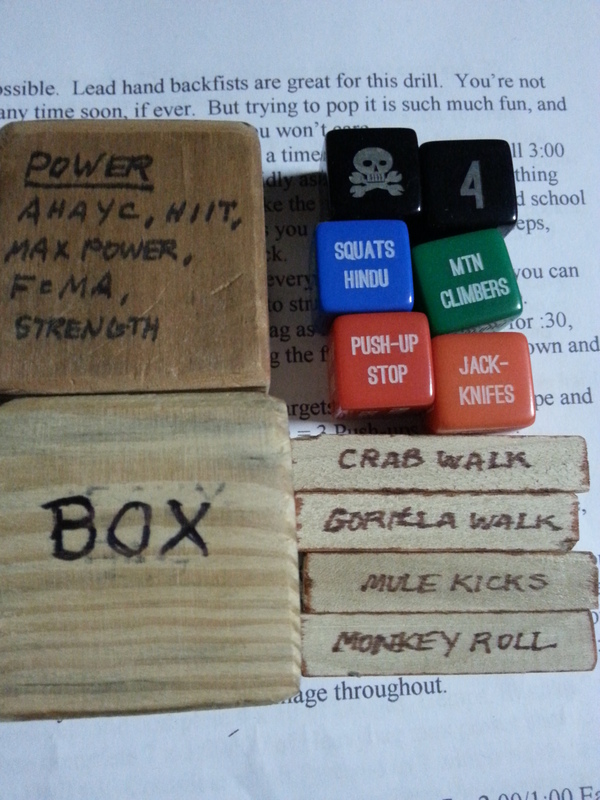 I use PTDICE (buy a set at PTDICE.com) and an assortment of homemade randomization tools to create workouts. Why do I do this? Because (a) I work out at 5:00 AM and it’s really hard to come up with workout ideas when you sill have crunchies in the corners of your eyes, and (b) as a martial artist I think it’s good for me to have to deal with the random crap that the world throws at me. First your Cabal Fang WOD. This is nothing on paper. It only takes about 30 mins and my heart rate never got over 150. And yet it was ridiculously hard for me. I would love for somebody to try it and post their feelings. Heavy Bag Boxing Power Drill (8x:30/:30. Complete as many max power shots as you can in :30, rest for :30, repeat. 8 Mins total). Sorry for the dramatic title, I just couldn’t resist. I probably should’ve called this post, “Wallpaper in my Blood” but “Blood on the Wallpaper” is much more enticing. Flashback. When I was a kid my father used to run a small remodeling company on the side. I started off young helping out around the shop, but as I got bigger I started taking on more responsibility. One of the things I seemed to have a knack for was wallpapering. By the time I was 17, Pop was sending me solo on wallpapering jobs in million dollar homes. I probably shouldn’t be allowed to wallpaper a doghouse these days, but back then, I was the stuff. Fade in. Among my mother’s things I found her father’s business card. 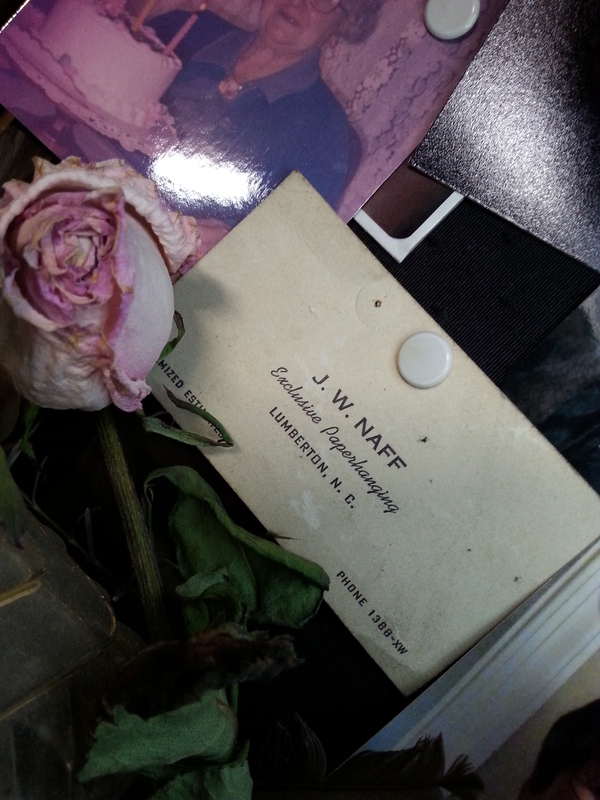 Grandfather Naff passed away when I was a youngster, so I only met the man once. This entry was posted in Martial arts, Mysticism, Writing and tagged cabal fang, naff, WOD. Bookmark the permalink.